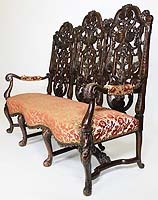 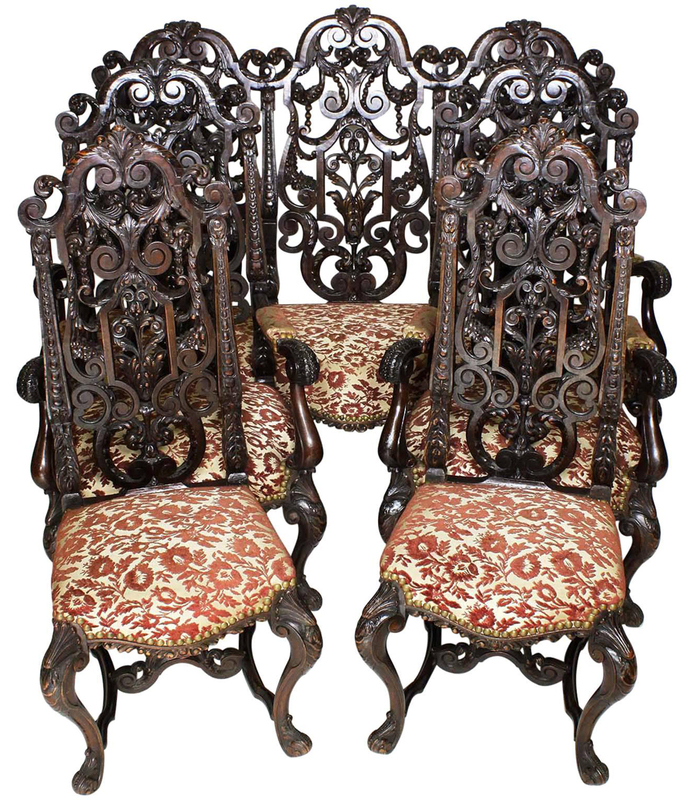 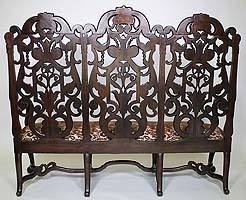 A Fine Italian 19th Century Baroque Style Ornately Carved Walnut Five Piece Parlor - Salon Suite, comprising of a settee, two armchairs and two side chairs. 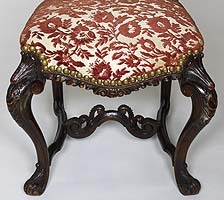 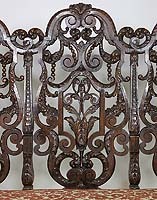 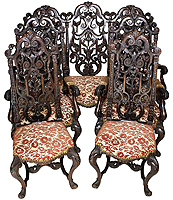 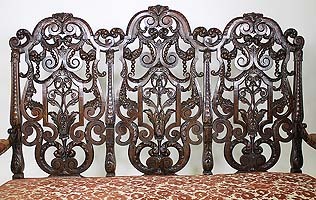 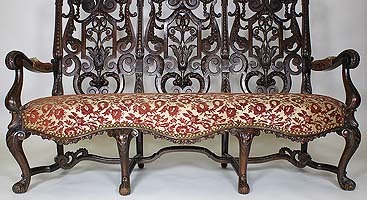 The intricately carved frames with scrolled and floral designs, curved armrests and cabriolet conjoined legs. 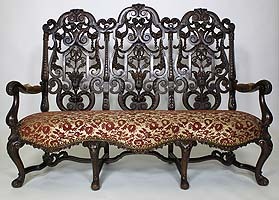 Circa: 1890.